Penguin 2.0 is here and it has already created quite a flutter. Netpyx discussed its implications in a recent post (Penguin 2.0: What you need to know) and here is how to recover from its impact in case your site traffic has plummeted in the past few days. 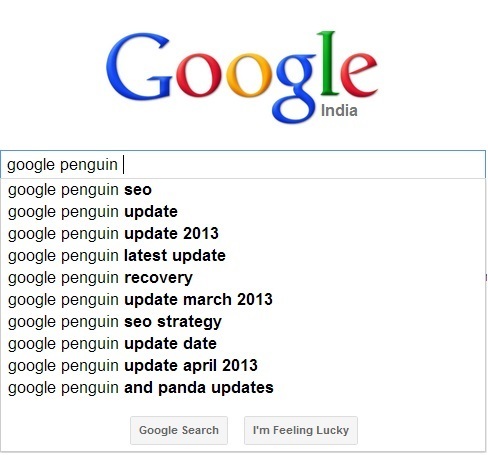 The Penguin 2.0 update is aimed at targeting dubious link building methods. It is essential that you target the bad links that you may have acquired while promoting your site. Start by understanding your link profile completely. A thorough link profile audit will be immensely helpful in the identification of bad links. Certain data tracking tools like Open Site Explorer and Majestic SEO can be helpful in this regard. One can obtain the in-depth picture of the link profile of a site using the above mentioned reports. Daily link analysis, inbound link analysis and backlink reports are some of the common features of these platforms. These tools have acquired significant weight in the recent past owing to the stress being laid out on the quality of links. Use the link profile to know about what all steps that you need to solve the underlying problems. It is possible to investigate the websites which are linking back to your site. Majestic SEO is one such tool to perform this analysis along with Analyze Backlinks and Backlink Watch. Poor quality backlinks can do immense harm to your website. In case you find poor quality links, you ought to remove them in order to get into the good books of Google once again. Not all is lost in case your toxic backlinks are ruining your website’s search engine rankings. Removing and disavowing toxic backlinks is the next step in reclaiming the lost ground. Once you have removed and disavowed the backlinks, the search bots will re-crawl your site and re-index it within days, thereby giving your site back its ranking. After establishing existence of backlinks and their removal, the next step is to build new, high quality backlinks. You need to get backlinks from reputable, high quality sites. There are several ways to build such backlinks including guest-blogging, getting active on social media sites including guest blogging, hosting contests, creating link-worthy content, getting listed in directories, sponsoring events like webinars, and participation in Q&A websites. Google is committed to provide an excellent experience its visitors a splendid experience to its users every single time they visit its site. The grinding of the search algorithm is going to continue in the near future. Short term fixes can harm your site in the long run and hence should be avoided. In case you fail to do so, Penguin might be making an unpleasant visit to your site soon and you are not going to like it.. This entry was posted in Search Engine optimization, Web World and tagged Google, Google Penguin 2.0, Google search, SEO by Christian Pancho. Bookmark the permalink.